Aimed to disrupt institutional investing and research, Vigilant is the first of its kind which uses a combination of proprietary and 3rd party language processing technologies to scan over 20 million news and blog sites in real-time, and actively alerts users on critical situations that could affect their portfolio. “My investment strategy uses fundamental analysis, but Accern makes it much easier to pick the right times to enter and exit positions, as well as to predict (and thus manage) volatility,” says Igor Rivin, Managing Director of Samsara Investment Partners. 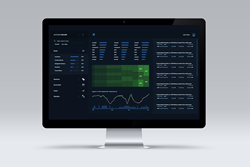 Accern, a NYC-based financial technology startup, today announced the launch of an intuitive and advanced visual social analytic platform called Accern Vigilant. Aimed to disrupt institutional investing and research, Vigilant is the first of its kind which uses a combination of proprietary and 3rd party language processing technologies to scan over 20 million news and blog sites in real-time, and actively alerts users on critical situations that could affect their portfolio. As a visual analytics platform with interactive charts, such as word cloud, heat map, sentiment trends etc., and sophisticated visual filtering capabilities, Vigilant help users drill down into stories that matter. Accern has partnered with text analytics leader Lexalytics to provide investor sentiment trends and insights on social data related to US public equities. Vigilant is the third product in Accern’s portfolio, which already has Alpha Stream, a real-time institutional data feed, and Alpha One, an aggregated daily feed for retail traders. Vigilant comes with a suite of analytics, monitoring and research features. Allowing the users to create portfolios, and alerts based on financial events, media sources, market sentiment, exposure of information etc., Vigilant will attract investors who want to stay updated about every news piece, blog post or even a Wall Street rumor. “My investment strategy uses fundamental analysis, but Accern’s data makes it much easier to pick the right times to enter and exit positions, as well as to predict (and thus manage) volatility,” says Igor Rivin, Managing Director of Samsara Investment Partners. Utilizing social analytics in investment strategies has received a lot of attention in recent years. However, investors often fear about the excessive amount of spam and irrelevant information on the web, and basing trading decisions on this. Finding relevant and actionable information from millions of real-time streaming social data is one of the major issues institutional investors are currently facing. Another major problem that institutional investors have is determining how reliable the information coming from social media or a public news and blog sites are. There are many instances where false rumors have been released on the web which cost institutional investors major losses. Accern has built the world’s first social ranking algorithm which determines the reliability of a source or an author based on how fast they can release certain types of stories, and how contextually similar stories get republished by other media outlets – essentially showing a sign of reliability. Other key metrics that Accern provides include ‘saturation’ and ‘impact’, which predict the exposure of certain information on the web, along with probable impact that story may have on the stock prices of the mentioned companies. Accern provides social analytics solutions to the financial service industry to support trading, investment, and research. With the industry’s most comprehensive collection of 20 million news and blog sites, Accern utilizes a combination of both proprietary and 3rd party natural language processing and machine-learning algorithms to derive feature-rich analytics in real-time. Accern has developed one of the world’s most sophisticated machine learning based filters for finance to provide institutional investors and researchers information that matters. Accern is headquartered on 110 Wall Street, New York, NY 10005. For more information, please visit http://www.accern.com, email info(at)accern(dot)com or call 1-347-256-8460. Follow Accern on Twitter and LinkedIn. Processing billions of unstructured documents every day globally, Lexalytics is the industry leader in translating text into profitable decisions. Lexalytics deploys state-of –the-art cloud and on-prem text and sentiment analysis technologies that transform customers’ thoughts and conversations into actionable insights. The on-premise Salience® and SaaS Semantria® platforms are implemented in a variety of industries for social media monitoring, reputation management and voice of the customer programs. Based in Boston, MA, Lexalytics has offices in the US and Canada. For more information, please visit http://www.lexalytics.com, email sales(at)lexalytics(dot)com or call 1-617-249-1049. Follow Lexalytics on Twitter and LinkedIn.